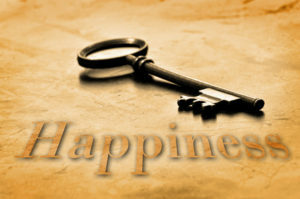 Is my personal happiness really the goal of life? When we think that the purpose of the world is to make us happy or that the goal of this human life is to achieve personal happiness – we are setting ourselves up for the opposite experience. That might sound off putting or even controversial, but stay with me on this one. How many times in life have we thought our happiness and fulfillment meant getting the certain job, relationship, house, acknowledgment…this list could go on and on. A few months or years later we look back and realize NOT getting those things that seemed to mean so much to us at the time ended up being the greatest gift. Sometimes a different opportunity came along that was a much better fit or the relationship breakup that was so devastating at the time led to us meeting the person of our dreams! When our happiness is dependent on some event or circumstance outside of ourselves then the target is always moving, always changing and always just outside our grasp. Even when we get what we want it seldom satisfies us for long until we are right back on the same wheel of suffering….waiting for circumstances or conditions to change so that we can grasp the elusive happiness that we are continually seeking. The point I am making here is that sometimes we don’t know what is best for us because we are approaching life from the wrong perspective. As I started out saying, the purpose of the world is not to make us happy. I feel that all great spiritual paths and religions at their core have provided us with the true purpose of the world if we really take the time to step back and look at the commonalities between them all. The fundamental message being shared is that the purpose of the world is to evolve our level of consciousness. This means there is a goal beyond our present moment happiness within any given situation. The truth is that happiness is an inside job. You radiate it from the inside out, it is not dependent on circumstances but is a way of living that acknowledges our life has a bigger, greater purpose than us feeling comfortable and satisfied at every moment. When we live with this awareness then we begin to look at any given situation that we would have previously identify as a problem to be solved, eliminated or fixed – as a challenge for us to rise to. The point I am driving towards is that ironically our happiness or satisfaction with the life in front of us is tied to our ability to see that life will always be pushing us and asking more of us than we might feel comfortable with at any given moment….that is the whole reason we are here. It doesn’t mean that we should pretend to not be discouraged when life seems to be throwing us a curve ball. It means that we develop the context to view these circumstances from a whole new light. In doing this, we allow our discouragement to be transformed and transcended into something greater. Paradoxically this is what creates in us a sense of satisfaction, freedom, peace and drum roll please…happiness. There are some questions we can reflect on that help us align with this deeper perspective. Where am I obsessed with the past or grasping towards the future? Where am I not being kind, compassionate or giving of myself fully? Am I willing to release the attachment to things happening my way and trust that there might be an even better solution or opportunity seeking to present itself in this seeming setback. When your mind is in right alignment with this way of thinking you don’t have to go out and get anything – everything fantastic will fall at your feet.